The bathroom is done, or very nearly. we're having marital discord over the selection of bath towels. Can you give us help? I have my favorite. Lyle has his. The kids have opinions as well, but they get only about half a vote. towels that cannot be used until this decision is made. 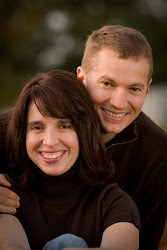 My kids will be dripping wet and cold without your help. 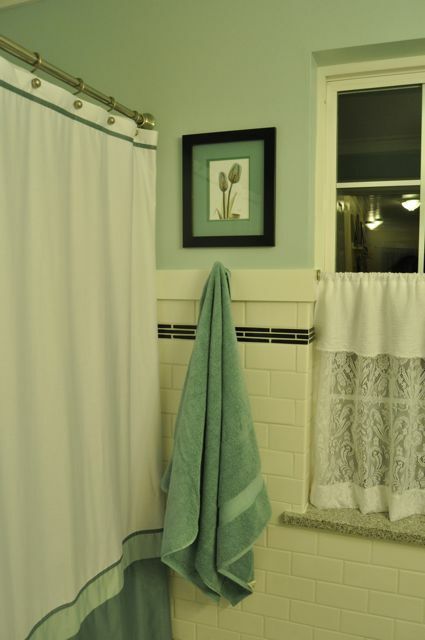 Towel A is a lovely blue/green color and matches beautifully with the shower curtain and the picture. Does it match too perfectly? 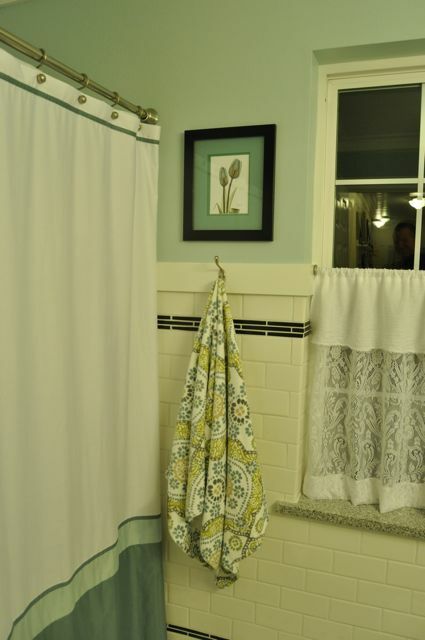 Towel B is a cheery mosaic print, which brings in a green not found in either the shower curtain or the picture. Maybe that's good, maybe that's bad. Thoughts? Towel C explores our dark side and picks up the black detail in the wall tile and floor tiles (which you'll see later). 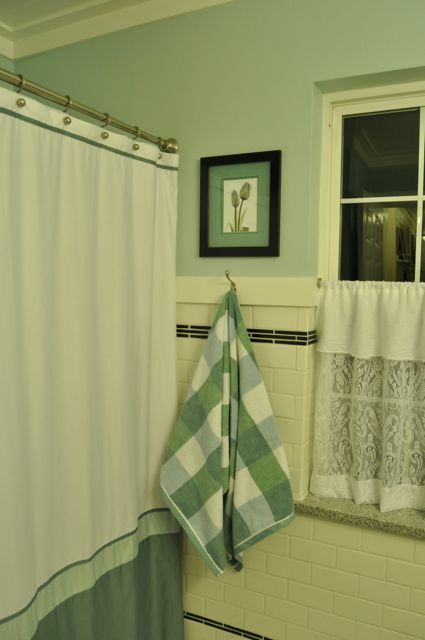 Towel D is also a cheery little number with checks that match wall, picture, and shower curtain quite beautifully, but is it too much geometric print? So what do you think? A, B, C, or D, or None of the Above? Note: If you select the None of the Above option, you will need to find an alternative towel because I've looked at every towel in Kitsap County. I think A is perfect. If you really want a pattern, go with D.
I would only pick A if I were trying to "stage" the house. My husband would say "all bathroom towels must be WHITE so they can be bleached!" I LOVE B, but I don't think it works for this room. Not a fan of D's geometric pattern. 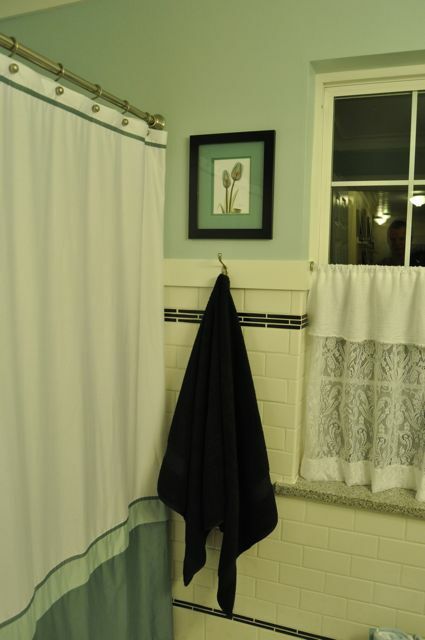 So I'd pick C. It is dark, but since the rest of the bathroom seems light, I don't think it's too dark. And I like how it brings out the tile accents. I'd go with a solid for sure, you've got a lot of other stuff going on so a solid is more appealing to me and makes the beautiful tile stand out. Towel C!!! Love it. :-) It picks up the other black accents in the bath. C or A, in that order. A pattern seems like a nice idea, but I don't think you've got a winner in B or D.
I'd go white or cream. Laurel Thinks Towel A is best. I changed my mind. Now I think C AND A. It can be fun to switch it up. Also, I have a friend who threw interior design to the winds and gave each child two towels of his or her own color. No questions about who left it behind, and they only get washed once/week, so take good care! The black for sure. Nice contrast. And hey, you never have to worry about the "dirt" left behind AFTER the bath or shower. I think I like A or C best. Your bathroom looks awesome, by the way! I like the white towel the best, because I like white bath towels always. It has the bonus of looking very sophisticated in that bathroom. My second favorite is the blue/green one. Those are nearly impossible to match, though-buy a huge stack of them now, since you'll likely never find them again. The black ones will pick up fuzz from every other color of towel in the laundry. The pattern ones were too busy. A...unless you want your towel to be the focal point of the room.